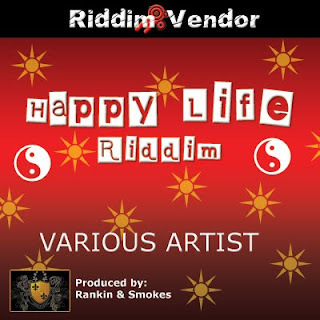 Mezzo Forte Records is proud to present the first installment of their Riddim Vendor series with the release of the Happy Life Riddim. The reggae dancehall inspired riddim features home grown talents with the likes of Bounty Hype, Baby Blue, Louis Dan, and Mac 11. The Happy Life Riddim will be officially launched on Friday October 2nd, 2009. The unofficial release will be available for our local market via digital download on popular entertainment /social website such as partyaccess.com, citylime.com and face book. The compilation will be available for sale digitally in foreign markets by Mezzo Forte Records via, Itunes, Amazon music, E– music, Rhapsody, Imeem and Napster.